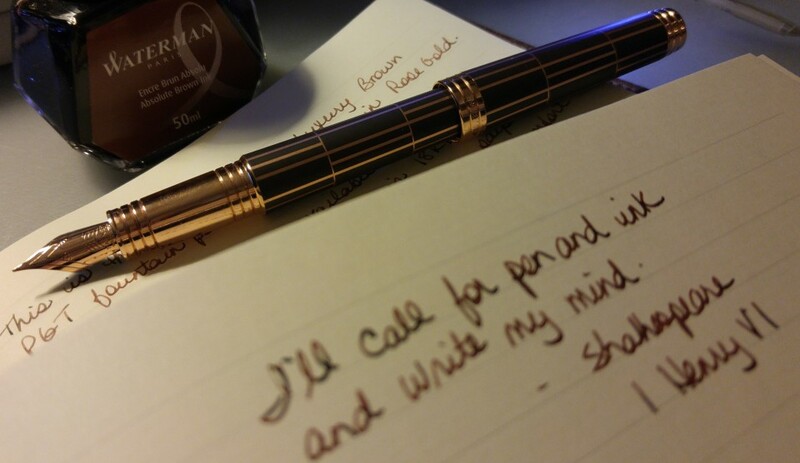 I nearly had a heart attack this very afternoon when I couldn’t find my Nemosine Singularity. But after 10 minutes of frantic searching I found it in my coat pocket! I started breathing again. 🙂 I will pick the pen for March next week on Feb 24. On Sunday I showed you some Vintage Valentines that my great uncle gave me when I was a teenager. Pretty aren’t they? I hope everyone enjoyed the day. I have no idea what I’m going to write about this Sunday, although I’m excited about a package from Amazon that arrived this week! I gave you a bonus post on Sunday, about the Give a Girl a Journal campaign at Jamie Ridler Studios. Nominate a girl, sponsor the gift of a journal. Get involved. Have you entered my second giveaway for 2016: Baoer 79 Starwalker? Click on the link to get the details and enter. Giveaway ends February 27. Again, not as much journal writing this week as I needed. Often I will think to myself – you need to journal about this – so I make lists of all the things I want to write about. That list is pretty long right now. I have been writing letters for InCoWriMo (today I mailed my 6th one) but the majority of this weekend was devoted to organizing the closet in my office. A friend of mine came out to watch David’s band last weekend. It was a special night because she has a bucket list with a deadline and one of her items was to see a live band. We all had a great time and her list is one item shorter! Until we write again…..happy journaling! I keep my A5 journal, pens and accouterments all together in a lovely Lihit Lab Teffa Bag from Jetpens – nothing ever gets lost! Oh lovely! Reminds me of my Bible covers that I use to take my journal for a walk. Thanks for sharing Priya!